No loquacious setups, no wistful words of memories past, let’s just jump into the sheet. 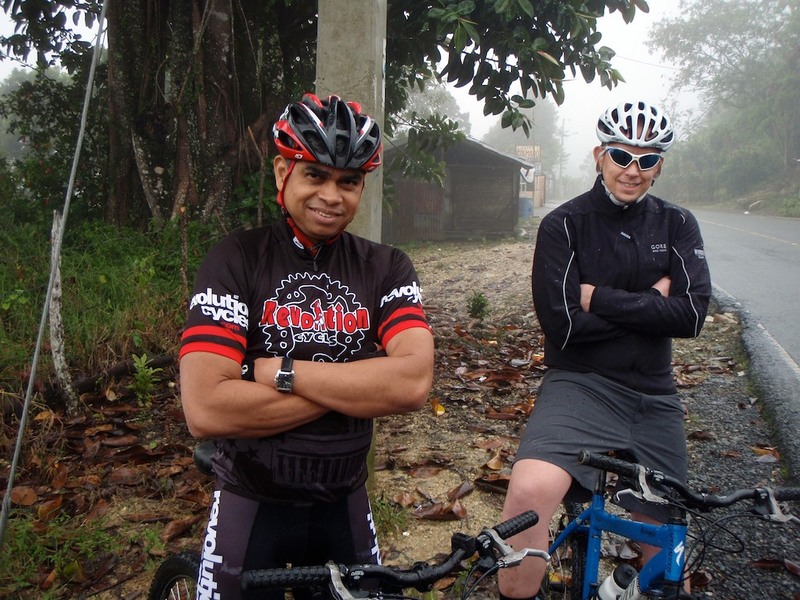 Still partially buried from the first of the ’09/’10 winter dumpings, I made my way with the Revolution Cycles management team to the Dominican Republic for a little “R&R”. It turned out to be not completely restful, and in some cases not relaxing at all. But it made for a ton of stories. Out of everything that happened on that trip (24/7 rain, fire in airport terminal, moldy clothes), these two are the most memorable for two distinctly different reasons. Bike Ride of Doooom: MTB ride down picturesque mountain roads and paths. Turned out it was during a downpour in 60˚ temps and we had no cold-weather gear. You know, because we’re in the TROPICS!! The ride tested the limits of our handling skills as sheets of rain obscured our vision while cars/trucks passed us on narrow blind corners. “…desperately stripping myself of soggy, clinging bibshorts moments before I produced my own torrential downpour.”Once we got off the roads and on the paths, they turned out to be brutal rock gardens covered in mud. Midway through our harrowing decent, the previous evening’s dinner decided that it had enough and wanted to escape my colon while I was riding my bike. Next thing I know, I’m in a shed behind a road-side fruit stand sitting on a wooden box desperately stripping myself of soggy, clinging bibshorts moments before I produced my own torrential downpour. Once I reigned in my innards, we continued down the mountain again, where I was promptly shelled off the back due to my lack of fitness. Then I flatted. Yeah, it was THAT fun. Luckily we had a sag-wagon that scooped me up and dropped me off with the others for an amazing Dominican feast under a thatched-roof canopy. But not before I hit the baño a few more times… One of the most amazing experiences of my life! Earthquake in Haiti: Definitely not a highlight whatsoever. While eating dinner we all suddenly felt off-balance and queasy. At first we all thought we were having a simultaneous outbreak of Monty’s Revenge, but it turned out we were feeling the ripples from the massive earthquake in Haiti. We made our way home through yet another downpour and could the locals congregating around the glow of televisions, their gaze affixed attempting to glean some sense from the disaster. When we arrived back at our hotel, the entire area was under a cautionary tsunami alert. We all held our collective breath waiting for something that fortunately never materialized. Being so close to the disaster was painfully sobering. I could only think about being with my wife and daughter again. Mr. Fisher and the Lord of the Trek: In March I was part of something pretty revolutionary as Revolution Cycles opened the City Hub concept store in Crystal City, Virginia. 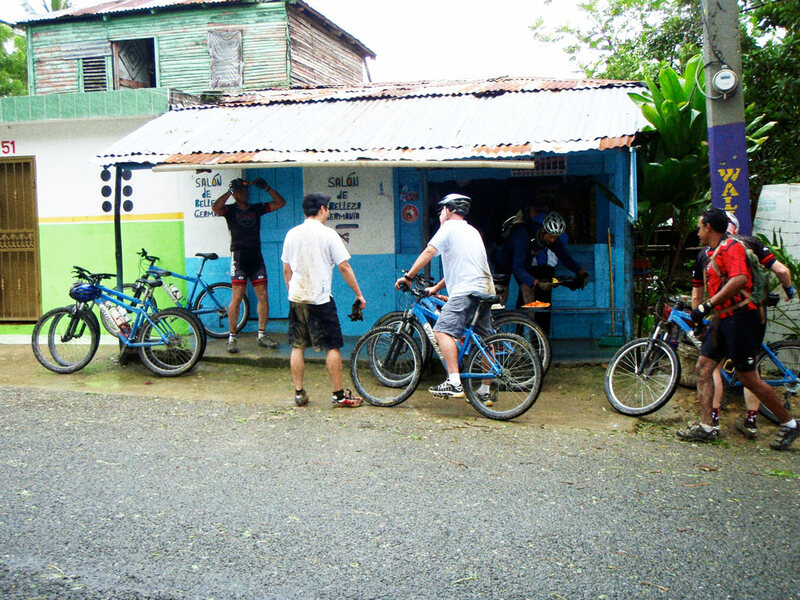 It’s a mix of fixed-point localized bike-sharing, bike rentals, and traditional accessory sales and service. As we were putting the finishing touches on the space, the National Bike Summit was taking place just across the Potomac in DC. The summit brought us our very first customer, who was none other than Gary Fisher! Gary also sparked the first Tweet-ride from the City Hub location that evening. I had envisioned doing Tweet-rides beforehand and I couldn’t have asked for a better impetus than one of the founding fathers of mountain biking and Superman cycling ambassador. The City Hub business model was revolutionary and intriguing enough for Trek president and CEO, John Burke to pay us a visit the next day. Not too bad for the first 24 hours of being open! Logos. Oh, and Brochures. Wait, Add Business Cards too. Also…: So other than looking pretty while mugging with Mr. Fisher, I had a relatively important job—the Hub needed a logo. It also needed a metric ****-ton of printed collateral! My partner in crime and I were flying by the seat of our pants as we were crafting both the conceptual and visual identities simultaneously. I get to brag as well, since both John and Gary both commented on the design of the logo. 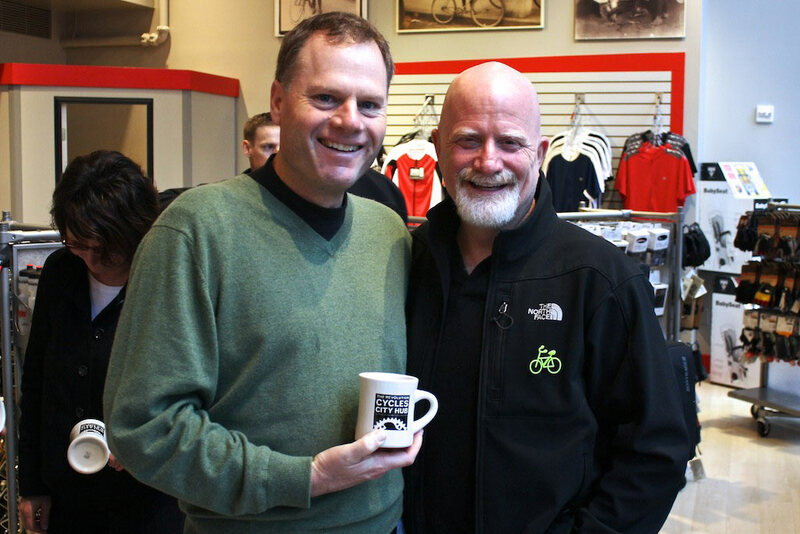 Being cycling dignitaries they both copped a free City Hub diner mug as well. That’s a damn fine mug. 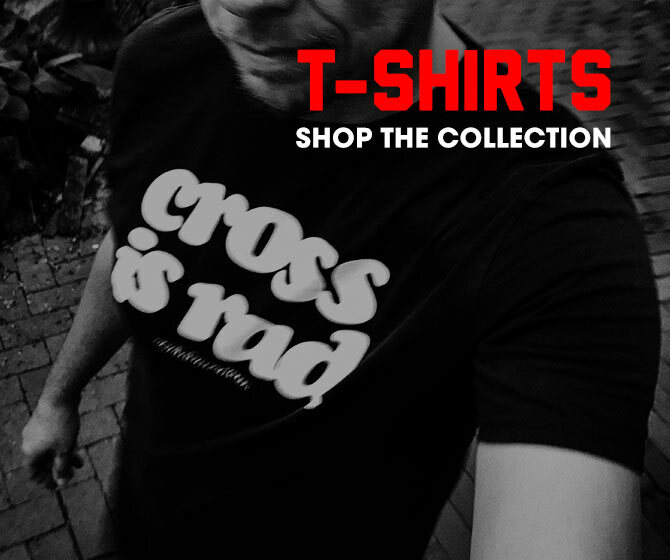 There’s also a damn fine shirt as well. I couldn’t have asked for a better outcome than how these shirts turned out. 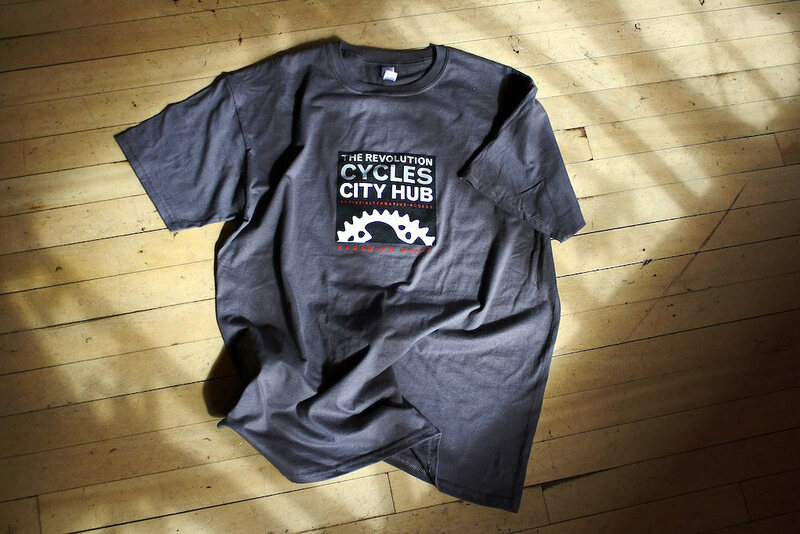 Logo on front, and my City Hub slogan/catch phrase , “Shares Well With Others” on the back. How much genius can be packed onto one garment? Don’t answer that. Instead, marvel as you gaze upon its visage. If for some reason you’ve enjoyed my narcissistic indulgence, I have more coming. Topics include, a secret alternative Hub logo, a multitude of design, Hub Spins galore, and whatever else I can remember that I’ve obviously forgotten here. Stay tuned. Please.